Book Your Flight To Washington DC Right Here! The American capital swarms with iconic monuments, great museums and powerful corridors that have been graced by the footsteps of historical legends and visionaries. Find great discounts on flight deals to Washington DC with Lookupfare. Take a sneak at our extensive range of Washington DC flight deals and grab the best cheap flights tickets. Washington DC is the capital city of the United States of America. The city teems of wonderful museums and some of the most esteemed memorials and monuments in the country. The city is also the site of all three branches of the federal government of the US i.e. the President, the Supreme Court and the Congress. The city is home to about 176 foreign embassies which is more than any other city in the world. It also houses the headquarters of many international corporate houses, non-profit organizations and professional associations as well. Washington DC is one astonishing city boasting of a multi-dimensional personality – a federal city, a global metropolitan, a charming tourist destination, an unparalleled treasury of the affluent chronicles of America and a cosmopolitan city that retains the vibe of small town ambience. Washington DC over the years has managed to shed its reputation as a boring and political city and emerge as a vibrant tourist destination offering a number of shopping, dining and nightlife opportunities. Travelers often describe the city as exciting and cosmopolitan with international appeal. 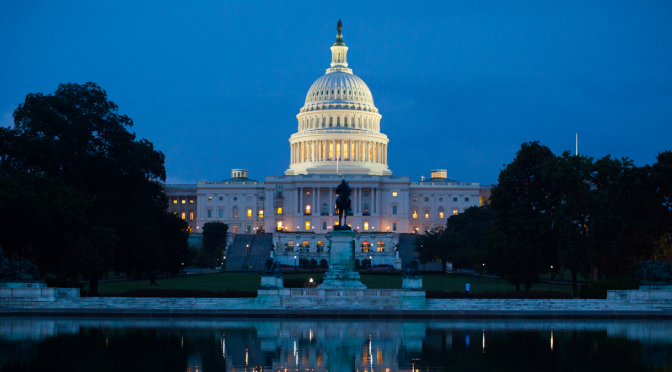 Washington DC is dubbed as a city born of politics, by the politics and for the politics. The city was not the original capital of the US. Many other cities prior to DC have served as the seat of the national government. It was later thought that the capital city needs to exist independent from the powerful state governments and it was assumed that the southern states would not accept a northern capital city. Thus in July 1790, Congress passed The Residence Act which stated that the capital city must be situated along the Potomac River. In January 1791, President Washington declared the specific area of the federal city. Washington DC was thus carved out of terrains of the states of Virginia and Maryland. The government then, bought large portions of mostly undeveloped lands from its owners. United States Capitol and Capitol Hill – Dubbed as a symbol of the United States, the capitol is the site of the senate and the House of Representatives. The huge dome is one of its primary highlights. The marble terrace offers some of the stunning views of the city. The interior is decorated with beautiful paintings, reliefs and frescoes. There is an old chamber of the House of Representatives that features statues of some of the most prominent historical personalities. There is a visitor center on the lower floor which features an interactive exhibition on the history of the building. There are free tours conducted for visitors on both weekdays and weekends. The Lincoln Memorial – One of the most renowned memorials in the United States, the Lincoln Memorial is erected at far end of the mall. This 19-foot seated statue of the legendary American President is enclosed by 36 columns, with every column signifying each state that existed at the time of his death. The statue is also attributed as the most impressive work of sculptor Daniel Chester French. The murals featuring on the inside walls were painted by the Jules Guerin showcasing significant events in the life of Lincoln. The memorial has also been the site of many historical events. National Air and Space Museum – National Air and Space Museum is one of the most popular museums in the US featuring some of the most historical aircrafts and spacecrafts. The highlights of the museum include the original 1903 Wright Brothers Flyer, Charles Lindbergh’s Spirit of St. Louis, Apollo 11 command module amongst many others. The museum features many temporary and permanent exhibitions that exhibit history, science and technology of the space and aviation industry and features a number of related topics. Some of the other attractions include the Albert Einstein Planetarium, a Public Observatory, an IMAX theater and much more. National Gallery of Art – The National Gallery of Art is one of the most popular art museums in the world. It is nestled in two separate buildings linked by a tunnel and features a magnificent collection of American and European paintings, sculptures and decorative arts. Temporary exhibitions are also held which add to the fantastic collection of arts and cultures across the world. One of the most prominent highlights is the Ginevra de Benci, the only painting of the legendary Da Vinci in America. Some of the other artists the gallery features works of include Monet, El Greco, Renoir amongst many others. The rich artifacts of the gallery give art lovers the perfect reason to grab some low-cost flights to Washington DC. National Mall and Veterans Memorials – National Mall is the site of the city’s many monuments and landmarks. The most significant ones include the Washington Monument, Vietnam Veterans Memorial, Vietnam Women’s Memorial, Korean War Veterans Memorial and the American Veterans Disabled for Life Memorial. The site also features a park where visitors go for picnics. The area also hosts a number of festivals and celebrations. The most renowned one is the Independence Day celebration with sparkling fireworks around the Washington Monument. Book Your Flights to Washington DC Here! Score great bargains on online flight booking with our exclusive range of custom travel offers such as cheap first class flights, airfares business class sale, festival travel offers, etc.